Bone broth is made from bones with a little bit of meat on them, which you cook for longer than you would a meat stock. You can introduce bone broths into your diet once you’re through the Intro Diet and following Full GAPS. It’s a good idea to prepare a large quantity of broth at a time; use it to make healthy soups, stews, and casseroles or simply to drink throughout the day as a beverage, complete with probiotic juice, good fat, and mineral-rich salt. What a wonder drug! Occasionally, when I say to a person who is sick, “You need some homemade bone broth,” they look at me as if I’m crazy—like it’s some foreign, exotic food. Yet this humble staple is perhaps the most traditional, nourishing, and nutrient-dense food available. It’s also dirt-cheap to make. It does take a little time and effort, but once you get the hang of it, you will be movin’ and groovin’. Be sure to source your bones carefully. 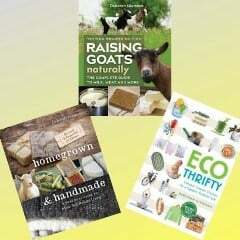 The best bones are from 100 percent grass-fed and -finished cows, pastured chickens, and wild-caught fish. Of course, you can make bone broth with lamb, turkey, bison, and venison bones, too. 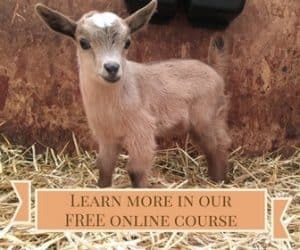 Just be sure that the livestock was raised to your standards. The best way to ensure excellent quality is to seek out a local, sustainable farmer, or to find a reputable resource online. It took me a few years to work up the courage to order chicken feet from our co-op, and another year after that to order chicken heads. These are not ingre- dients we are used to seeing in the average American grocery store! Nonetheless, they are star players in making a fine bone broth. Often people are reluctant about these ingredients, unless they grew up in a different country, in which case I sometimes hear, “Yes, that’s how we did it when I was growing up.” Or even, “We used to eat the feet right off the bone; they are so delicious!” Even in many parts of Europe they still make use of every last animal part. It is now more important than ever for us to get back to traditional food preparation and honor the wisdom of our past. These inexpensive super foods are a must for the GAPS Diet. Place the bones in a pot, add the apple cider vinegar and water, and let the mixture sit for 1 hour so the vinegar can leach the minerals out of the bones. (Add more water if needed to cover the bones.) Add the vegetables, bring to a boil, and skim the scum from the top and discard. Reduce to a low simmer, cover, and cook for 24 to 72 hours. During the last 10 minutes of cooking, throw in a handful of fresh parsley for added flavor and minerals. Let the broth cool and strain it, making sure all the marrow is knocked out of the marrow bones and into the broth. Add sea salt to taste and drink the broth as is or store it in the fridge (up to 5 to 7 days) or freezer (up to 6 months) for use in soups and stews. When we make chicken broth we make it in one of three ways: using a whole stewing hen or layer; with the carcasses from a roasted chicken or two; or with 3 to 4 pounds of necks, backs, and wings (or a combination). With a roasted chicken, we often save the carcass in the freezer until we have enough to make broth. Put the chicken or carcasses in a pot with 4 quarts of water; add the chicken feet and heads (if you’re using them) and the vinegar. Let sit for 30 minutes, to give the vinegar time to leach the minerals out of the bones. Add the vegetables and turn on the heat. Bring to a boil and skim the scum. Reduce to barely a simmer, cover, and cook for 6 to 24 hours. During the last 10 minutes of cooking, throw in a handful of fresh parsley for added flavor and minerals. Let the broth cool, strain it, and take any remaining meat off the bones to use in future cooking. Add sea salt to taste and drink the broth as is or store it in the fridge (up to 5 to 7 days), or freezer (up to 6 months), for use in soups and stews. 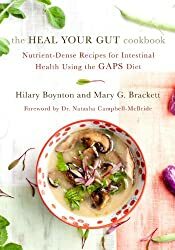 This excerpt has been adapted from Hilary Boynton and Mary G. Brackett’s The Heal Your Gut Cookbook: Nutrient-Dense Recipes for Intestinal Health Using the GAPS Diet (September 2014) and printed with permission from Chelsea Green Publishing. I’ve always hated tossing the heads when i process chickens, but I have no idea how to prepare them for use. Directions? I’ve never done anything with the heads. I checked the book, and I can’t find any directions for preparing the heads. When butchering your own chickens, scald withe the carcass as you would the feet. 145* – 150* till you can rub the thin layer off the comb. Rub off any stray feathers. Rinse well in cold water. I brine my chickens for 72 hours in 1 cup salt to a gallon of water as I’m culling old hens and roosters. Don’t be shocked, but brining takes the color out of them 🙂 Rinse a second time and add to your pot with feet and bones and proceed as normal.